It's almost time to raise the curtain on the UCLA School of Theater, Film and Television's 2013–14 theater season. Twelve exciting new and returning events, including "Lainie's Cabaret" in November and the Francis Ford Coppola One-Act Marathon in May, have been planned by the UCLA Department of Theater. Productions take place at venues in UCLA's Macgowan Hall, unless otherwise noted. For ticketed events, tickets can be purchased through UCLA's Central Ticket Office (310-825-2101) or www.tft.ucla.edu/theatertickets. Parking for events at Macgowan Hall is avaible in Parking Structure 3 for $12. For those productions listed as rush events, seats are complimentary. Please arrive at the theater at least 30 minutes prior to showtime. Seats will be distributed on a first-come, first-served basis. No reservations or tickets are required for these shows. Nov. 22–23, 7 p.m. and 9 p.m. Following its success of two seasons ago, "Lainie's Cabaret," devised and directed by Lainie Kazan, returns to UCLA. The production showcases songs from the Great American Songbook and features undergraduate actors. Undergraduate actors take to the stage to explore ancient Greek politics in modern times in "Women in Congress," directed by M.F.A. director Eliza Laytner. Feb. 14 and 21, 8 p.m.
Feb. 16 and 23, 2 p.m.
Opera comes to UCLA in the form of the classic "Don Giovanni," presented in collaboration with Opera UCLA and the UCLA Philharmonia. UCLA music professor Neal Stulberg conducts, with stage direction by Jeffrey Buchman and choreography by Rosa Mercedes. The production is made possible in part by the generous support of the Maxwell H. Gluck Foundation. M.F.A. director Jeff Fan directs Craig Wright's modern tragic-comedy, which tells the story of Steve and Sara, who move into a small Florida town with their chain of gospel-themed motels and a mission to save the world. M.F.A. students Xiao Wei Zhou and Bryan Puckett direct these two one-act plays featuring undergraduate actors enacting the words of Maria Irene Fornes, a contemporary Cuban-American avant-garde playwright. Musical theater aficionados rejoice! 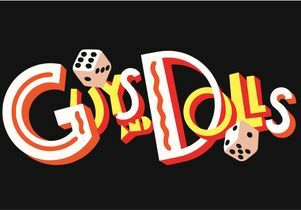 UCLA presents its Ray Bolger Musical Theater Production — the classic "Guys and Dolls," in which gamblers, showgirls and missionaries find love and luck. Music and lyrics by Frank Loesser and book by Abe Burrows and Jo Swerling. Directed by Linda Kerns, with choreography by Peggy Hickey. Presented as part of the UCLA Department of Theater's 2013–14 season, Design Showcase West features innovative costume, scenic and lighting designs by students from the nation's top graduate design programs.